HBO is the latest U.S. television network to jump on the Internet TV bandwagon, albeit with a rather cautious approach. 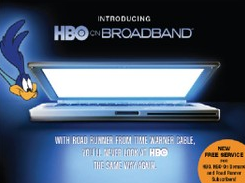 The new service, dubbed “HBO on Broadband”, will be offered free of change to existing HBO subscribers only, and initially you’ll need to be served by the Wisconsin division of Time Warner Cable, and a user of their “Road Runner” high speed broadband service. Users will be required to install a desktop application to use the new service, and unsurprisingly, content can’t be transferred for playback on iPods and other portable devices or, presumably, media extenders such as the AppleTV or XBox 360. Having said that, the HBO on Broadband application has some nice features: multiple user accounts (up to five), progressive downloads for near-immediate viewing, recommendations, and parental controls. While we welcome HBO’s entrance into the Internet TV space, it’s a real disappointment that the service isn’t available to non-HBO cable subscribers. This is clearly HBO having to appease its existing cable network providers by not competing directly with them, since the HBO on Broadband offering, as it stands, won’t in anyway infringe on cable revenue. HBO cautiously wades in Internet TV waters with new show "Hooking Up"
UK television networks to launch a Joost-killer? joining internet as a business is becoming every company’s priority. Day isn’t far when people wont find time to sit in front of TV for long hours.